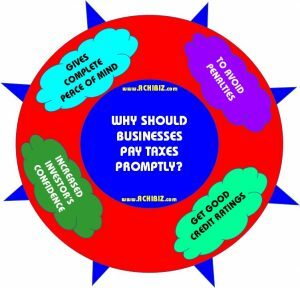 HomeYearly Books & ReportsWhy Should Businesses Pay Taxes Promptly? Businesses need to pay taxes on time as it provides money to the government to pay the salaries of government employees, support and maintain common resources like police, army, and firefighters, and provide proper infrastructure and fund for public places like libraries and parks. If you miss filing taxes on time, then it attracts the monetary penalty. This can also be hefty depending on the laws prevailing in the country and then there is accrued interest on the amount, which keeps piling up until the return is finally filed. 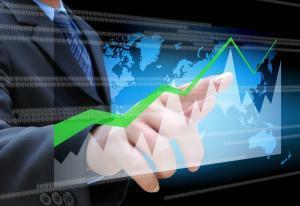 If, as an organization, you plan to take loans for expansion, you require a good credit rating. Paying taxes on time and having no default helps in improving this rating. The credit ratings also depend on the amount of tax paid. The higher the better as it signals better revenue and profits. If some investor is looking forward to investing in your business, then he or she will look into the financial and tax records first. The figures for tax paid provide them the confidence that you know how to do business and investing in your company will be beneficial to them. Having the right, truthful, and up-to-date financial records always works towards boosting the inventors’ confidence in the company. On the contrary, investors stay away from companies and businesses that falter on their tax payments. You can’t run away without paying your taxes as the authorities will catch hold of you ultimately. Then, why unnecessarily avoid paying it on time attracting penalties later and unnecessarily paying increased amounts besides getting your reputation tarnished? Paying the right taxes on time gives you complete peace of mind. You can then devote your time and energy for expanding and growing your business rather than finding ways to delay the tax payments. Paying taxes on time is also a moral responsibility, which is good both for the businesses and the country.